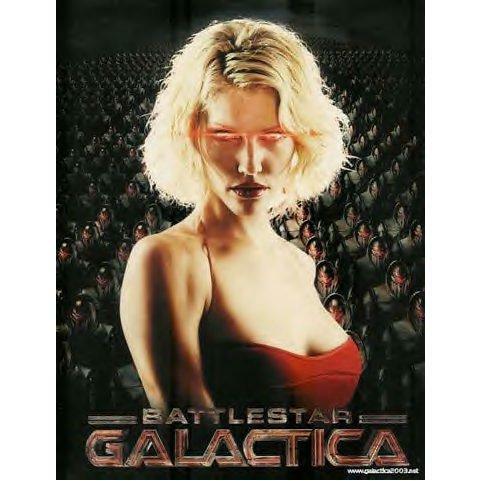 The browser-based massively multiplayer online game based on the hit sci-fi show Battlestar Galactica promises what NBC and developer Bigpoint to include "tactical space combat and adventure". The game will initially launch exclusively on SyFy's website for a 30 day period this fall, before being available elsewhere. "Battlestar Galactica is a supremely gameable intellectual property, with compelling character classes, a fantastic array of ships and weaponry, multiple worlds, and a dramatic storyline," said Bill Kispert, VP & GM, Digital Platforms, Universal Partnerships & Licensing, in a press release. Players will be able to choose to play as either the humans, led by Admiral Adama, or the Cylons, and the game will be a blend of tactical space combat, exploration, and mission-based gameplay. According to the press release, Battlestar Galactica Online will feature 3D graphics in your browser. Images and sounds from the TV show will be integrated into the game. You can sign up for newsletters and info on the game on the game's official page.